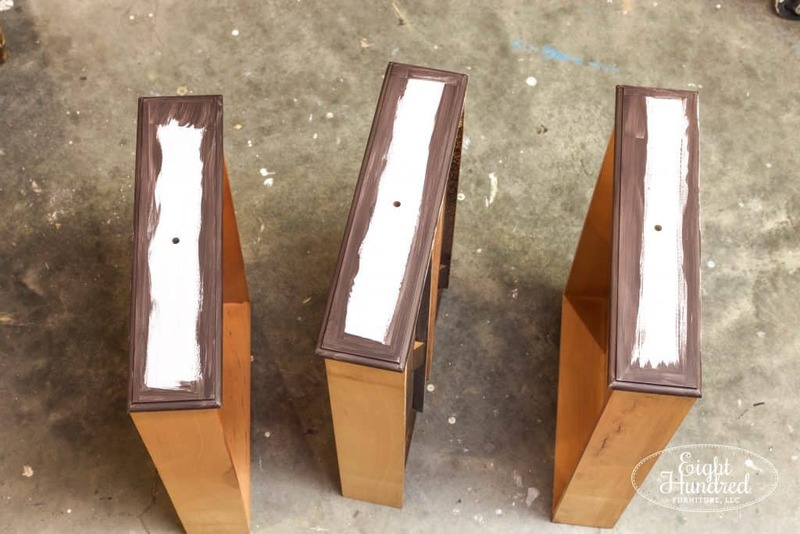 The series on painting with bright white paint continues! If you missed Part 1, you can catch up below. 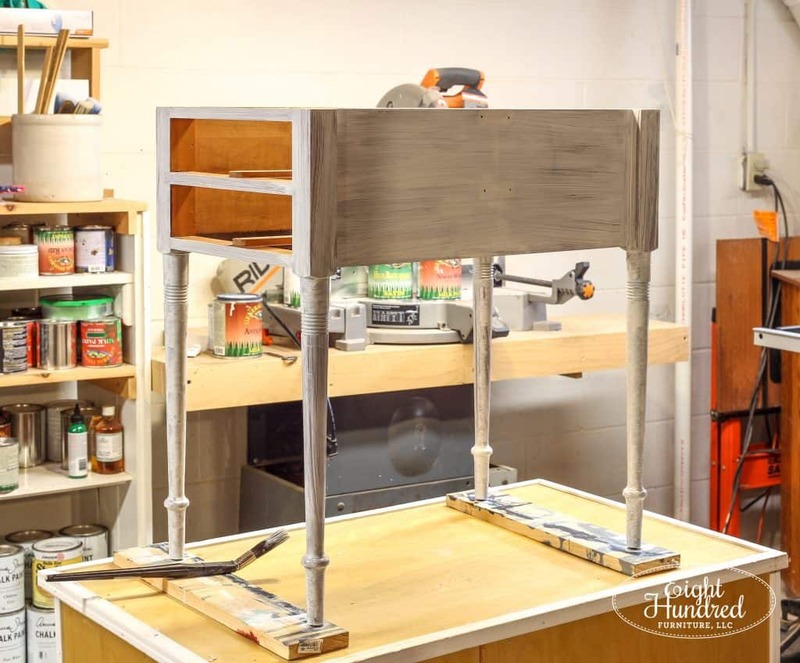 When we left my cherry end tables, they were getting 2 coats of primer. They looked something like this. 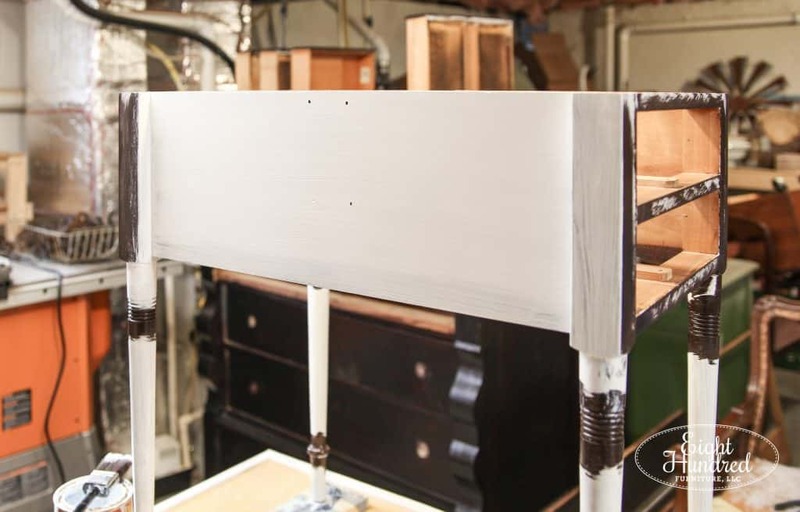 So here’s the tricky thing with primer. It’s meant to seal your piece so that no stains get through. But my client who owns these tables wants me to distress the edges a bit so that wood shows through the white paint. If I do that, I’ll break the seal of the primer, subjecting the surface to bleed through. So what’s a furniture girl to do? Let me introduce you to “The Cow Trick”! This is a trick that I learned from my fellow General Finishes retailers, and the name will explain itself soon. 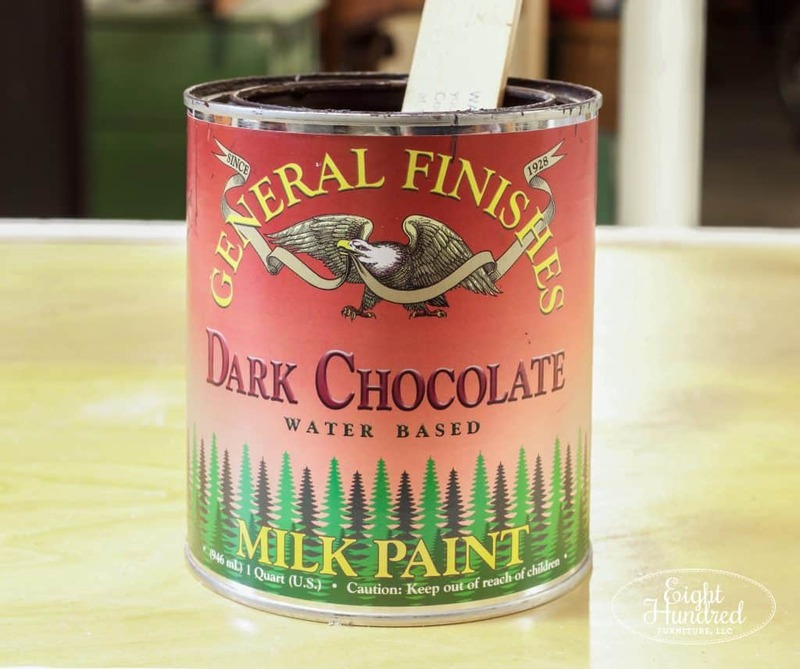 First, grab yourself some Dark Chocolate Milk Paint by General Finishes. 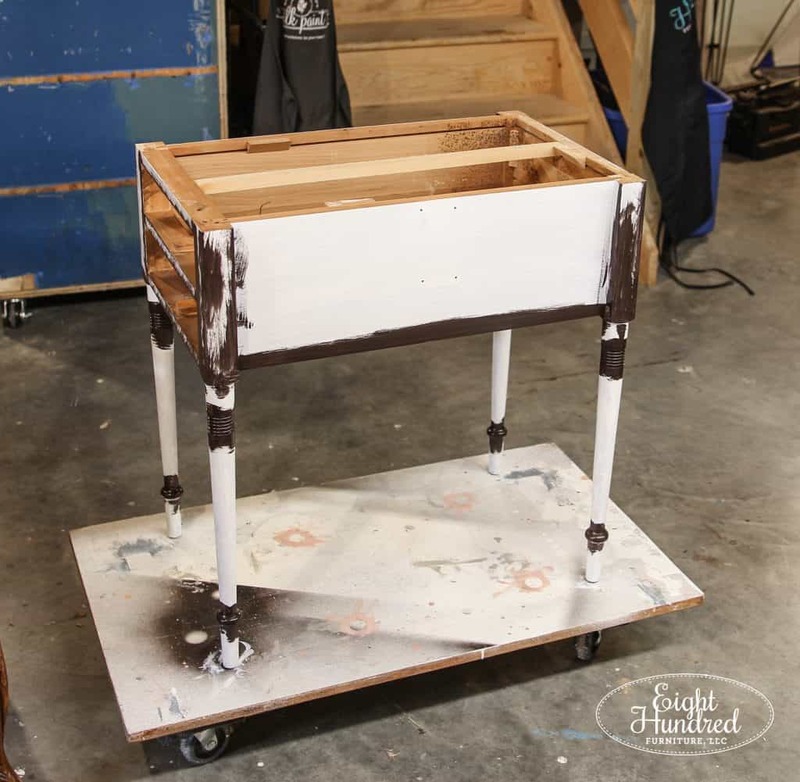 Give it a good stir and paint it everywhere you’ll want to distress later on. and the edges on the rest of the table. When you step back, the piece kind of looks like a cow with all of its brown and white spots! Hence the name, “The Cow Trick”. 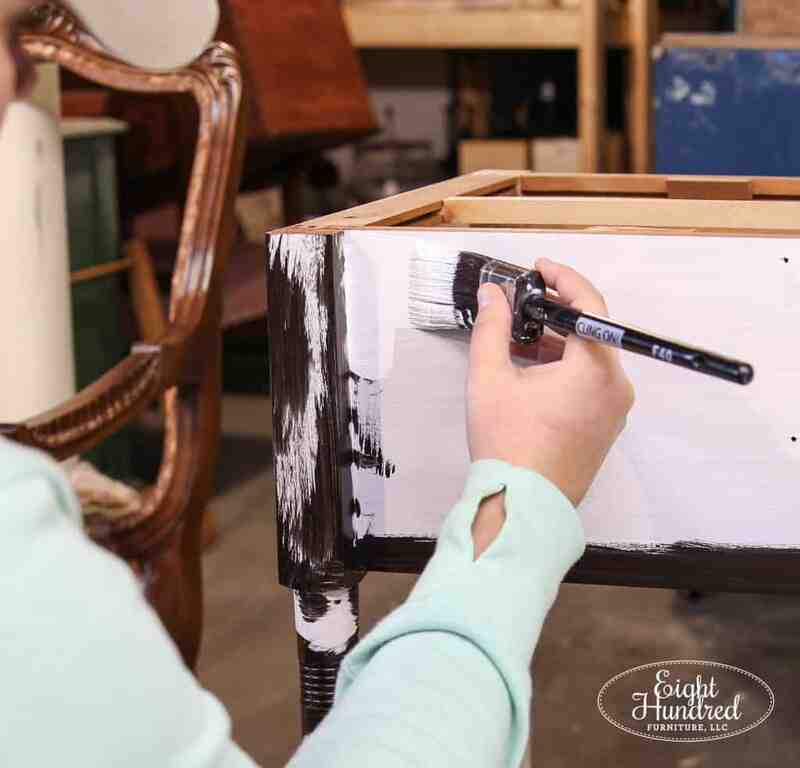 Once the brown paint is dry, seal it with a layer of clear topcoat. 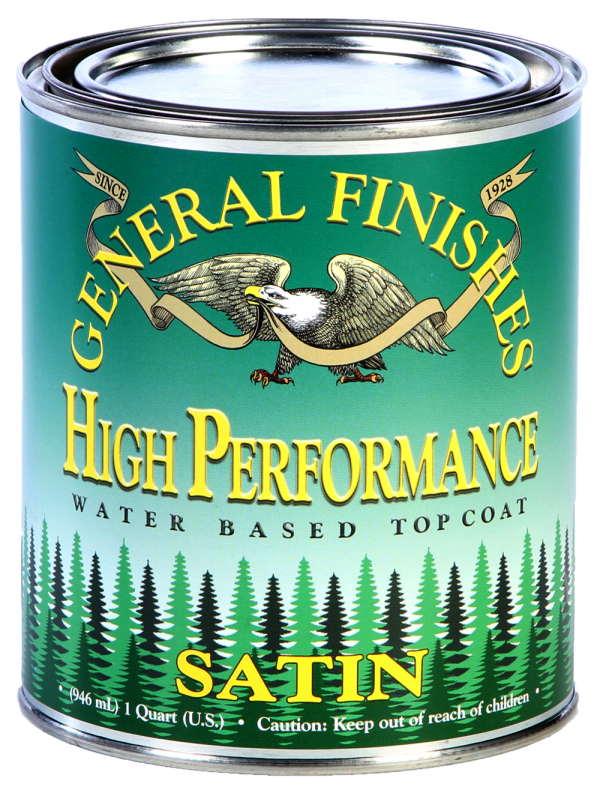 I used General Finishes High Performance Topcoat in Satin. 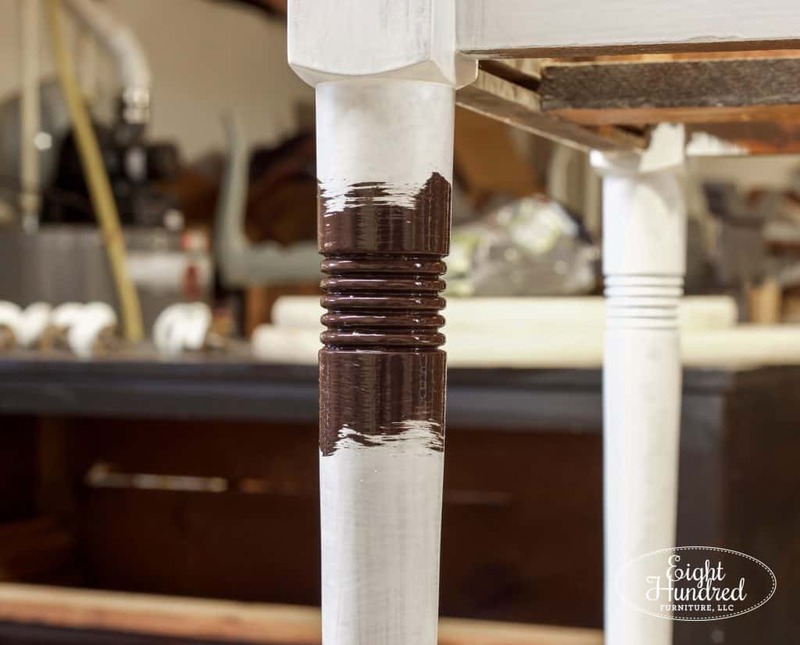 The reason why you do this is to protect the Dark Chocolate Milk Paint when you distress later on in the process. 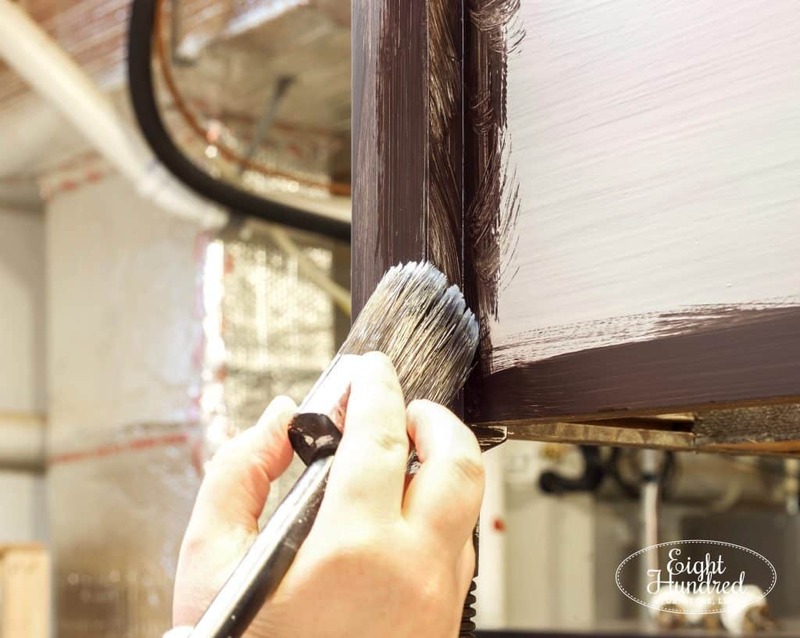 The layer of clear topcoat helps you not burn through the brown paint and rub away the primer that’s underneath. 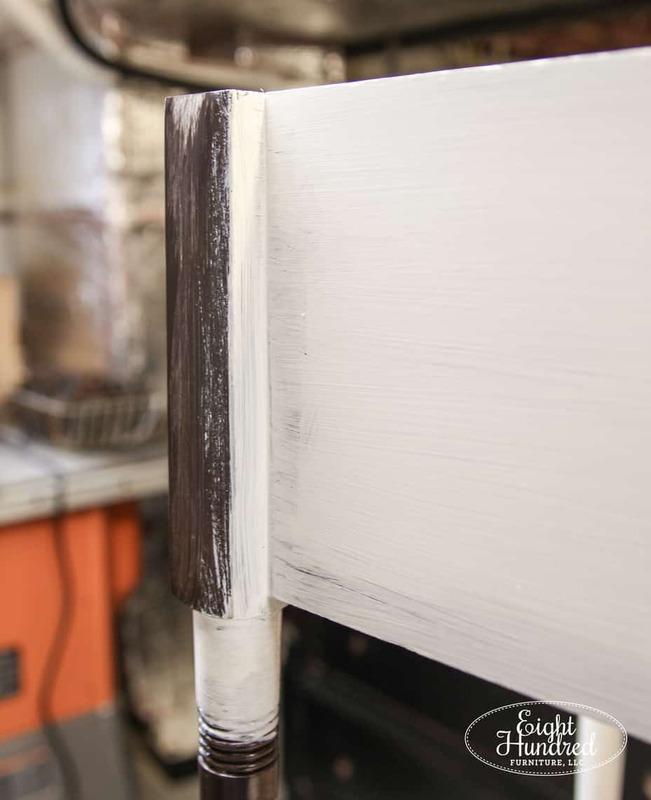 High Performance Topcoat goes on milky, or “water white”, at first but it dries clear. 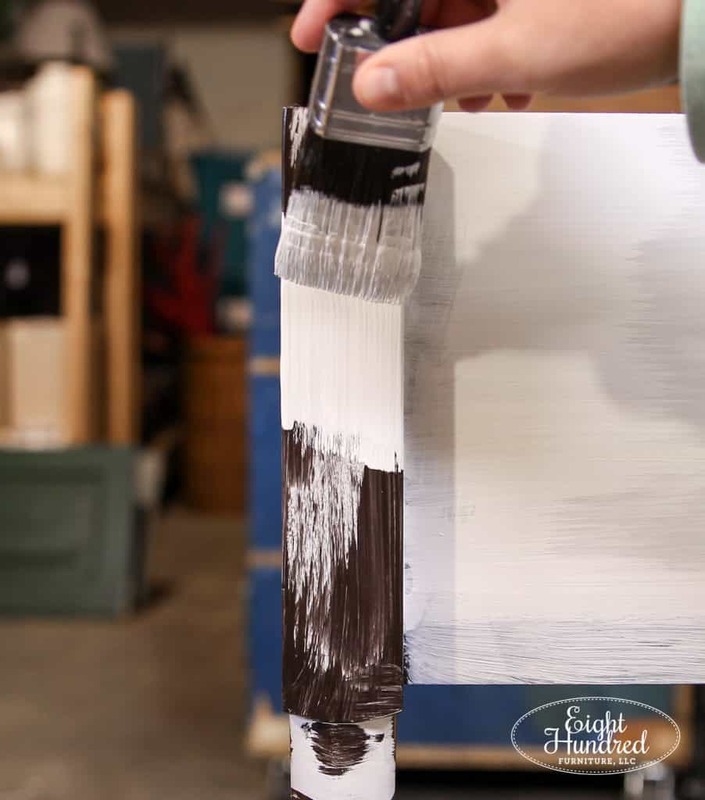 Once your brown paint is all sealed and dry, it’s time to start applying your multiple layers of bright white paint. 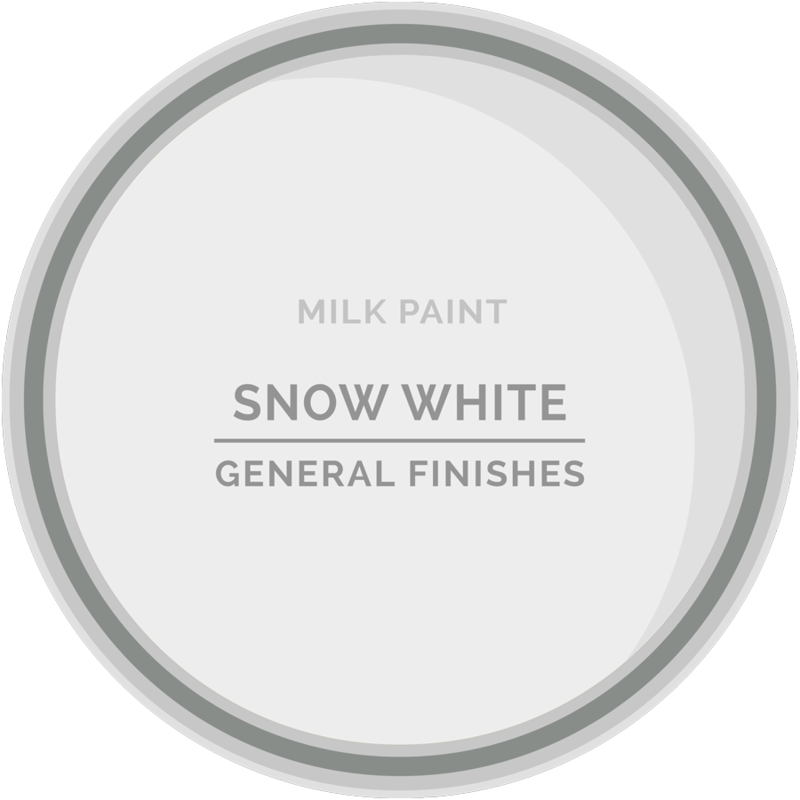 I’ve chosen General Finishes Snow White. I said “multiple” coats for a reason. 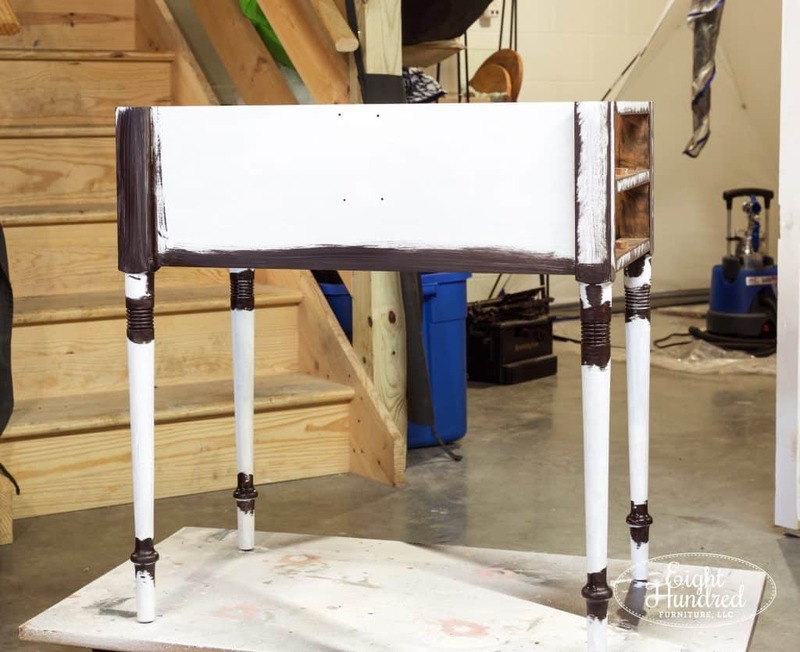 See, you’re covering over brown paint now with bright white paint, so it’s going to probably take 3 coats. 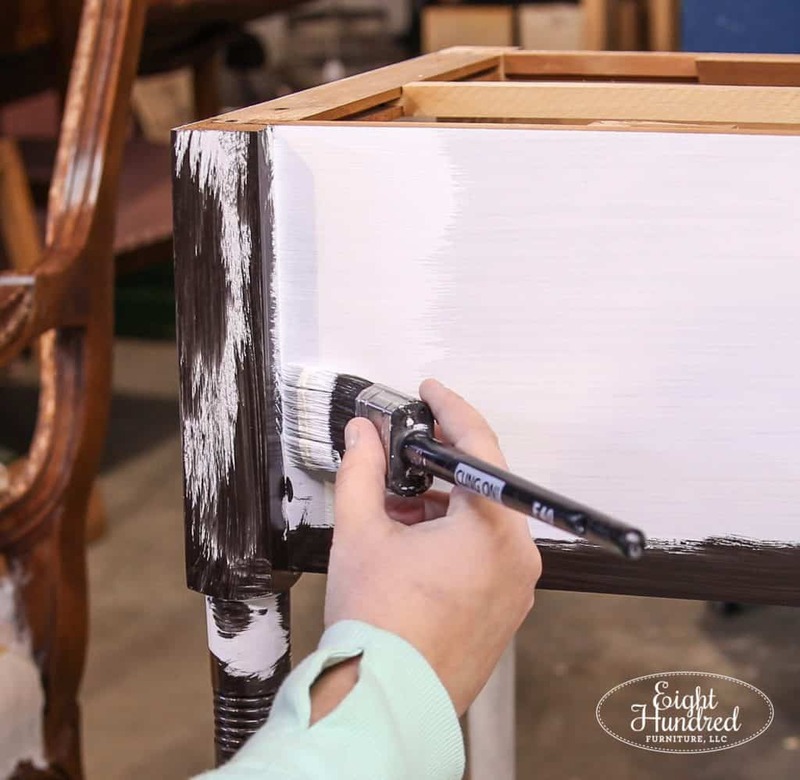 Whenever you’re painting with bright white, know that you’re going to need multiple coats. 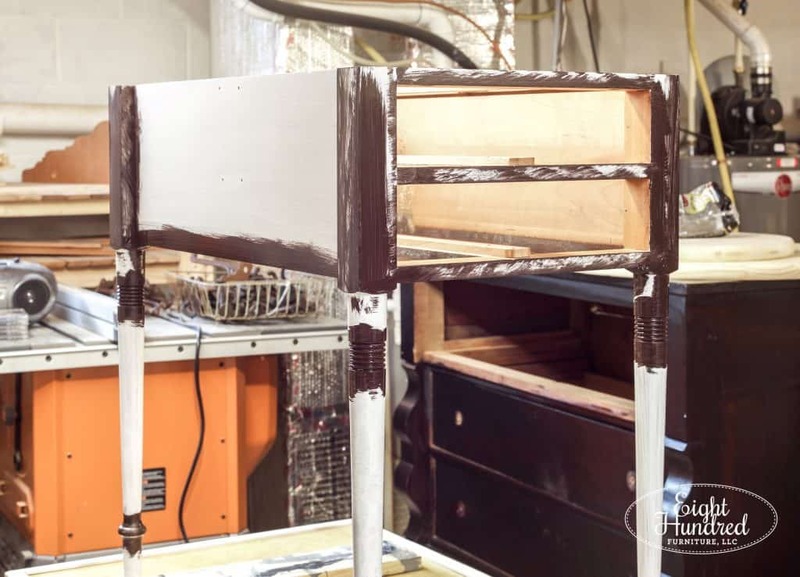 That translates to more product and more time, so if you’re a furniture painter like me, make sure you factor that into the price of your work! 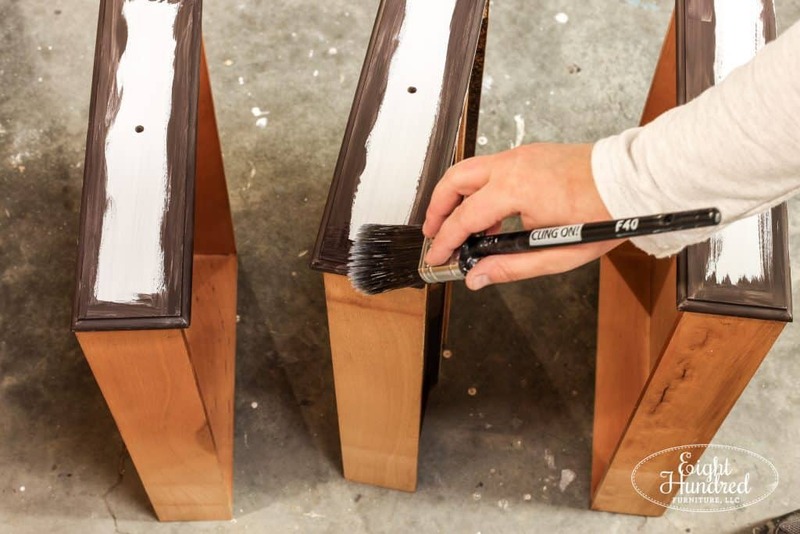 I’m still chipping away at the layers of white paint on these end tables. I’ve got one done at the moment, and I plan on adding more throughout the day today. 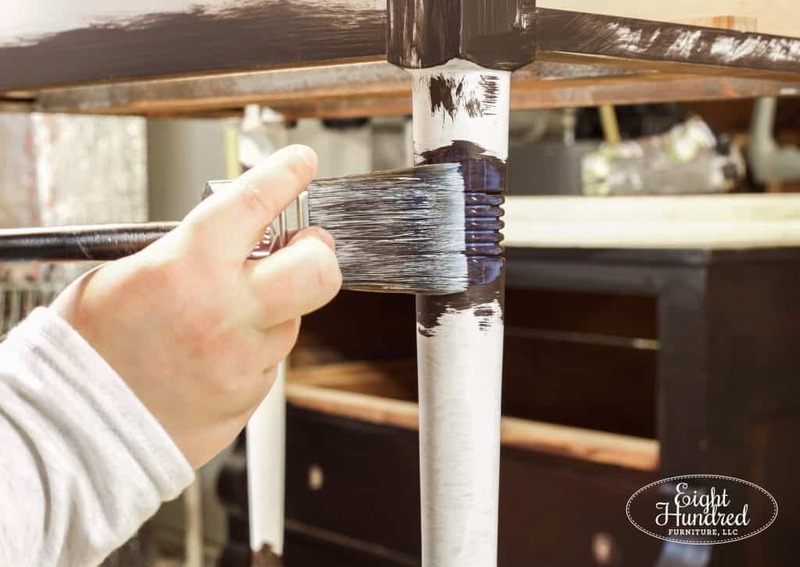 Stay tuned for my tips on distressing and how to prevent yellowing when it comes time to topcoat in Part 3!